This is the engine room of The Gibbstown Firehouse. 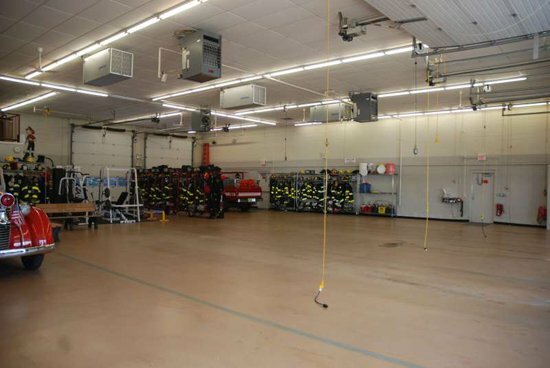 This is the room which our trucks, bunker gear, and weight equipment is kept. Starting from left bay to the right bay in the front of the building the trucks are lined up in the following order: Brush Truck 2115, Rescue 2118, Ladder 2116, then Tender 2111. In the rear of Tender 2111 is where Utility 2117 is stored. This is the radio room of The Gibbstown Firehouse which is located next to the engine room. In the radio room members can contact the communication center or other emergency personnel via radio, use the computer, check their mail boxes, and sign up for classes. This room is also equipped with a bulletin board to keep members up to date on drills and other important information. 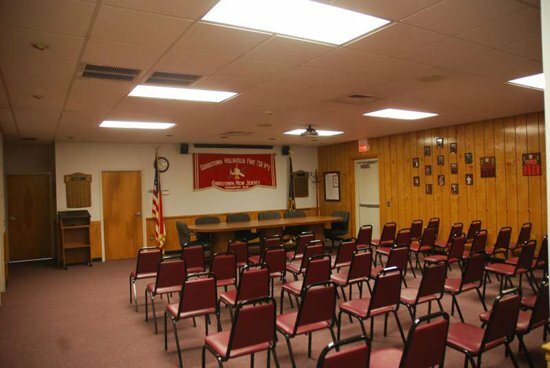 This is the meeting room of The Gibbstown Firehouse which is used to hold both meetings and drills on a weekly basis. The meeting room is equipped with a television and a projection screen for drill purposes. Also members can view pictures of chiefs, firefighters of the year, and apparatus from the past and present. This is the recreational area of The Gibbstown Firehouse. This is where members are able to relax after a call or drill. 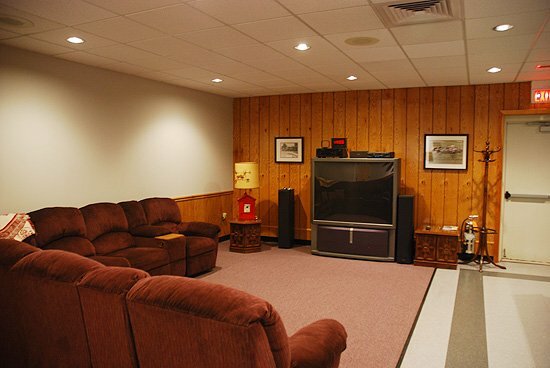 In this room members can either watch one of the two televisions, relax on the couch, play pool, or enjoy snacks at any time. 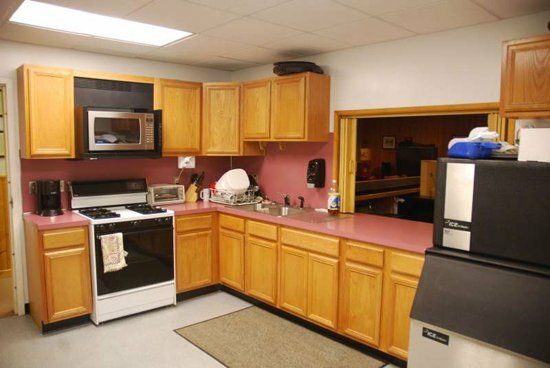 This is the kitchen of The Gibbstown Firehouse. The kitchen is used by members almost every drill and meeting night to prepare food and snacks. The kitchen is equipped with a refrigerator, freezer, microwave, stove, and ice machine. This is the Gibbstown Fire Departments fitness center. The fitness center is located in the engine room. 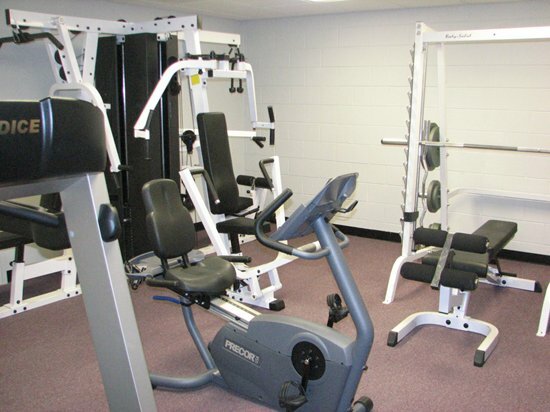 Here members can work out on several different types of equipment. There is also a television and radio next to the fitness center for members to enjoy while keeping in shape. 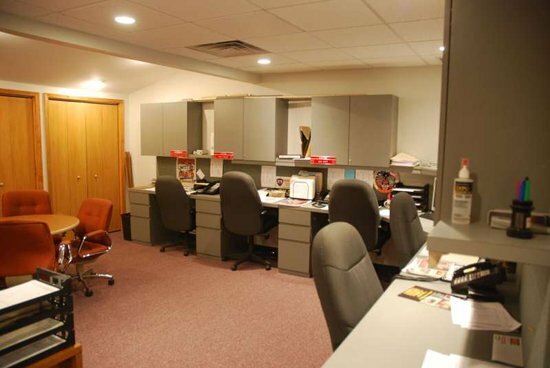 This is the executive office of The Gibbstown Firehouse. In this office you can find the president and vice president's desks, the desk of the treasurer, and the desk of the trustees. Also this room is equipped with a computer. 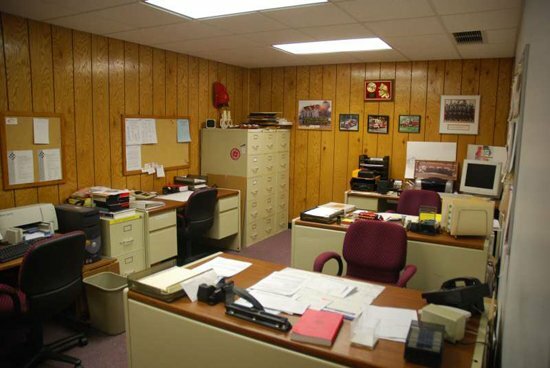 This is the chief's office of The Gibbstown Fire Department. 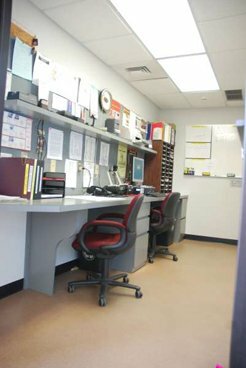 In this office is the desks of all of the line officers of the department. This room is equipped with computers and a copier.